Never fly too High, you will fall very hard. Yes, he is really working on that amazing things...we shall only wait when it will be released. Me personally, Im awaiting most the wonderful Ki-98 and Ki-83 same as the other ones like B7A2 or refined J7W1 with many changes +improvements and correct FM +DM. Actually he is tuning the planes, making important fixes and small refinements on 3D models. When it will be mature then it will go out soon. I found one of his old blog pages and before the J7W1 kodama was working on a Ki-83 project which, from the pictures, had reached quite an advanced stage. Will he be releasing this too? Quietly waiting for more Imperial Japanese Forces A/C, especially Gekko's, Nick's etc. 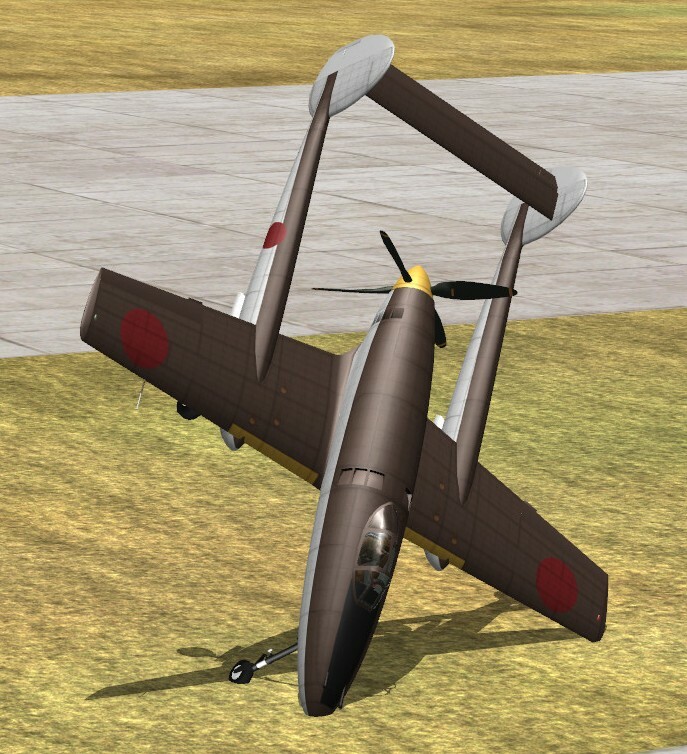 Has anyone noticed that first version of Ki-98 and a new version of J7W1 are downloadable at http://damawo.blog99.fc2.com/ ? In the left column you'll find Download as last section and links are there below small pictures of planes. Unfortunately, they both use P-63 FM now, so someone should change the edited J7W1 classfile to use our FM, and someone could make a new FM for Ki-98. Thanks a lot for these well-modeled not too conventional birds! Found it. Thanks Thank you Birdman for the news. Thank you Kodama for the planes. Very nice work.